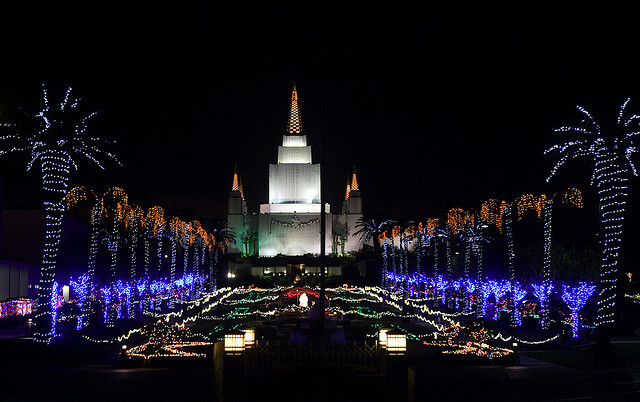 Which one of the below listed temples does not light up the trees and shrubbery on the temple grounds during the Christmas Season? December 25th, 1841: Mr. Hyrum Kimball invites the Twelve to his home for a day of sleighing and feasting and then presents each member of the Twelve with a lot (land) and made out a bond for a deed of the whole Quorum, each lot worth $50, making $600 in all. Wilford Woodruff’s Journal Excerpts (Genola, Utah: Pioneer Publishing), 15-6.